Get back into the era of Vikings in this new video slot. This slot machine game features a soothing flute music, 40 pay lines and cartoonish graphics. 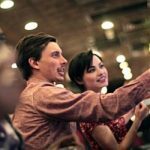 This evocative Free Online Spins Bonus slot game also comprises of a variety of distinctive methods to win with scatters, wilds, gamble feature and a bonus mode. Enter the Viking world and experience the adventures in the Free Online Spins Bonus slot game Viking Fire and you could dig a bonus of 2000 coins from the scattered fireball. 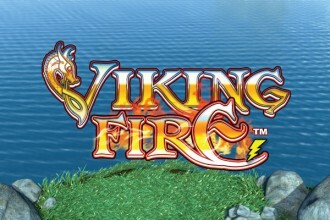 Viking fire is powered and developed by Lightning Box (NYX) software provider. 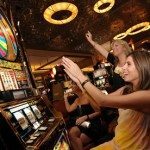 The gaming studio of Lightning Box has been supplying slot machines to the casino industry from 2004. 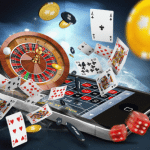 They are continuously producing new jackpots and slot games for Mobile, Online, Land-Based, and Social Gaming. It is 5 reels and 40 win lines which are fixed so that maximum no. of ways to win are offered while spinning every reel. This Free Online Spins Bonus slot game takes a bright look at the Viking tradition with several characters on the reels comprising of the axe-man on the left screen, a woman with red hair exerting a sword, a turban-clad man holding a miraculous crystal ball and a ginger-bearded man wearing a helmet. Other icons include a golden hammer and a white spotty and cute black dog. 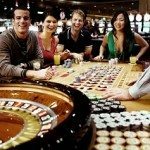 The backdrop of this Free Online Spins Bonus slot game features hills, trees and green grass, whereas the reels are set within a wooden configuration having metal shields on the sides. You can change your line stake by changing the blue arrows up or down to raise or reduce from the lowest of €0.01 per line to a maximum of €25.00 per line. In the Viking Fire slot, the wild icon is the Golden Hammer and it can replace all the icons except the Bonus. You can win up to 1500 coins for 5 wild icons on an active win line. The 2x multiplier is applied on all the wins with the wild icon. Bonus icon can produce scatter wins. The bonus mode is actually free spins feature, and if you get a chance to activate it, you can sink ships to disclose additional wilds and win extra free rounds. 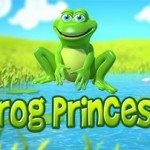 The extra wilds are- Wild-Wizard, Wild-princess, Wild-Viking, +1 Free Game, +2 Free Games and X.
Viking Fire is a very entertaining Free Online Spins Bonus slot game with lots of action-packed win lines and reels and some nice wins available.